Men in Black III is yet another unnecessary sequel from a film, which was made over a decade before, that nobody asked for. The film before it Men in Black II was a disaster on every level, to where I was not so eager to revisit this universe. But I have to say, this film is really just a fun popcorn flick. The film is completely mindless and doesn’t make any sense really (particularly towards the end), but it makes up for it with great performance, fun sequences, and some great references to the 1960s. The plot is about an intergalactic criminal named Boris the Animal (portrayed by Jemaine Clement) escaping from prison, and then goes back in time to kill Agent K (portrayed by Tommy Lee Jones). Boris apparently succeeds in his mission, due to the fact that Agent K has apparently disappeared and been dead since 1969. 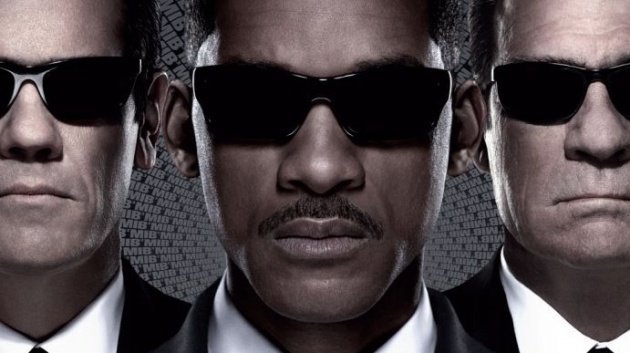 His partner Agent J (portrayed by Will Smith) is the only person who seems to have noticed the time change, so he follows Boris back in time in order to stop him. There he teams up with a Young Agent K (portrayed by Josh Brolin), and tries to save their mutually doomed future. Men in Black III had major production issues where they went months at a time without shooting, and the script was supposedly an initial mess. It actually slightly shows in the finished product, but while I think most people were expecting a disaster on the lines of its predecessor, that’s clearly not the case. I think the fact that this film had a lot more fun with its premise this time greatly helped the sloppiness of the story and script. This is a film that clearly knows its characters better than they did during MIB2, and it has a lot of fun with them. The standout of this film is without question Josh Brolin’s performance as a Young Agent K. Brolin completely sells this and I didn’t doubt for a second that this was not only a young Agent K, but also a young Tommy Lee Jones. Brolin perfects the most minor of attributes of Jones perfectly. The film is worth seeing for Brolin’s performance alone. That being said, I’d recommend not seeing it in 3-D. It didn’t seem to add anything to the film and parts actually gave me a headache, which has never happened for me seeing a 3-D film.